Kangen Water Machines produce the highest quality Alkaline Water available. 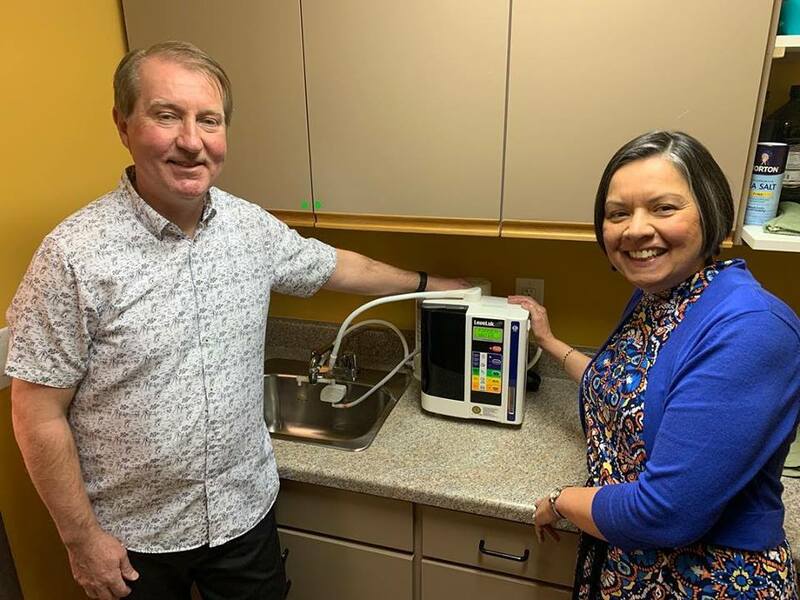 We are very excited to announce we now have a Kangen Water Machine at Apollo Chiropractic. Changing the water you drink from acidic bottles to the high PH levels of Kangen Water can help with so many health problems. High Cholesterol, Arthritis, and even Diabetes can be managed easier by drinking Kangen Water to keep your body at a high PH balance. We will be having monthly demonstrations to show you exactly what the Kangen Water Machine can do for your health. Follow us on Facebook to see when our next Kangen Water Demonstration will be! Join our 3-month trial membership to have access to our Kangen Water Machine anytime. 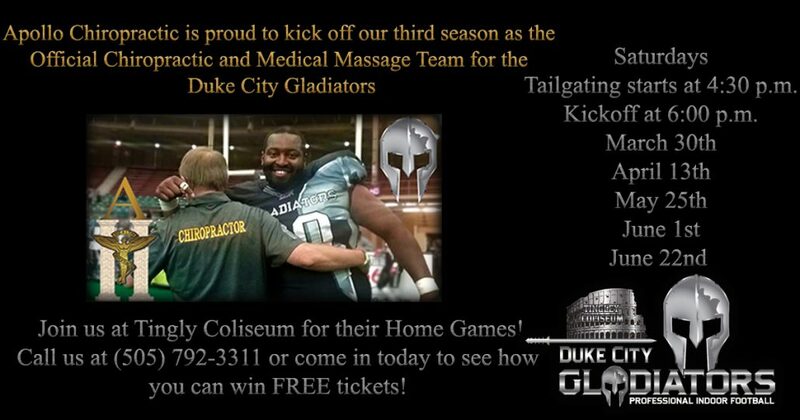 For $30 a month you can come fill up on Kangen Water at Apollo Chiropractic whenever you want! We are so excited to bring this membership to the Westside. Call us at (505) 792-3311 or come in to the office anytime to learn more about Kangen Water and how drinking it everyday can change your life. Come in any time to sample this life changing water for yourself! 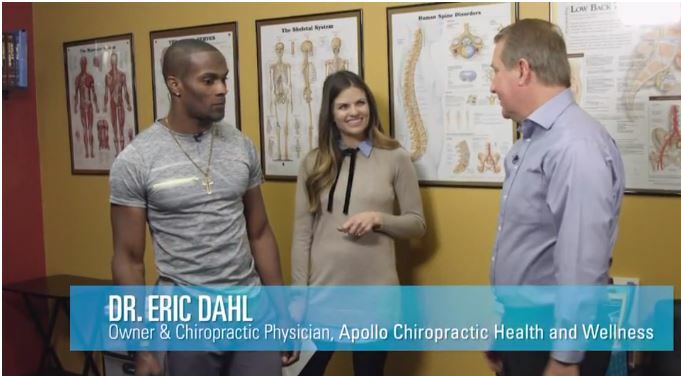 It was an honor to have television host, Casey Messer, come into our office and interview Dr. Dahl about Apollo Chiropractic. The interview was part of Good Day New Mexico which aired on KOB 4, March 13th. We appreciate everyone who was able to tune in, but if you didn’t catch it you can follow this link to watch the interview online! Seeking a female LMT, with a certificate of completion from an accredited Massage Therapy institute is required. Currently licensed by the state of NM Massage Therapy Board, and able to provide professional liability insurance. Minimum 2 years massage experience preferred. This position is responsible for the delivery of various massage therapy application of sport and athletic specific techniques, possess strength and endurance to provide multiple therapeutic massages to professional football players, experience to assess regular and new clientele needs from light touch to deep tissue techniques. Desired qualifications include advanced/medical therapeutic massage certificates, Kinesio® Taping certification, Cupping (vaso-pneumatic) certification, cranio-sacral certification. Submit interest letter and resume to apollo-chiro@comcast.net Include on the subject line, (LMT to Hire). Thank you.